To bring additional value to our customers and in continuosly strengthening our company capabilities in core areas, we have established strategic partnerships with global leaders as described below. As Tally FIVE STAR PARTNER, Tiara offers ERP solutions using Tally.ERP product and / or using Tally Technologies (Tally Definition Language - TDL). Tally.ERP is a leading and award-winning Business Management Software used by many companies in India and across 90 other countries, with more than 2 million business users. Tiara has strong capabilities (people, processes and knowledge) on Tally Technology (Tally Developer) and can help companies to buy, implement Tally.ERP, customize to meet their specific needs, provide user training and on-going maintenance support. TITAN, Tiara's integration solution specific to TALLY helps customers to integrate data from/to TALLY from any data source such as Flat Files, XML, Salesforce, SAP etc. In addition, Tiara offers centralized enterprise products like CENTROID that are tightly integrated with TALLY to provide an enterprise solution for corproate customers who would like to leverage TALLY for their dealers. Tiara has alos built TALLY modules for Manufacturing, Nidhi / Micro Finance industries as well as Mobile App for TALLY. Tiara has become an Authorized Alliance Partner of Zoho, a leader in Cloud based Business applications namely Zoho CRM, Zoho Mail, Zoho Books, Zoho Projects etc and four different suites / platforms namely Zoho One (40+ applications), Zoho CRM Plus, Zoho Finance Plus and Zoho Work Place Plus suite of applications. As a Zoho Authorized Partner, Tiara is authorized to implement Zoho applications such as Zoho CRM and resell Zoho licenses to end-customers across North America (US, Canada) and India. As ORACLE Gold Partner, Tiara is specialized in implementing RightNow CX (Customer Experience) Cloud application for customer service (support) automation and thereby improve the customer experience for companies. Successfully implemented RNow Agent Desktop, Customer Portal, Chat, Social Experience (FaceBook Self Service) and integrated with other cloud based Marketing CRM applications such as Salesforce.com, NetSuite etc. Tiara has wide experience in implementing CRM solutions across different industry verticals such as Finance, Manufacturing, Telecom etc and can help companies to define their business requirements and customize RNow to meet their specific needs. Through this specialized partnership, Tiara can market RightNow CX product in US market. 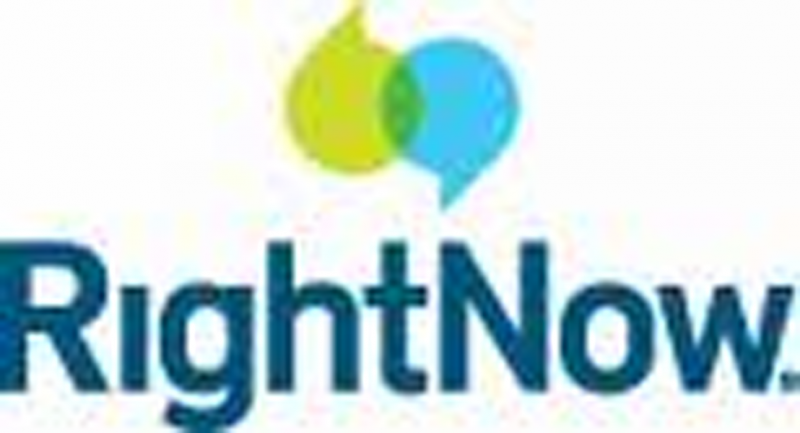 Tiara will offer CRM solutions using the RightNow product line for customers to improve their customer experience. As Salesforce Consulting Partner, Tiara can help its customers with implementation and customization of Salesforce.com CRM (both Sales and Service CRM) using force.com appilcation Development, and offers new products on Salesforce AppExchange platform. Tiara has a strong development team consisting of certified force.com developers with hands-on experience with Saleforce functions and depth of force.com technology experience including APEX development﻿. As a Zoho Alliance Partner, Tiara actively builds custom business applications using Zoho Creator platform. By successfully delivering business applications using Zoho Creator, Tiara has been certified by Zoho as a Creator Certified Solution Provider (CCSP). This certification enables Tiara to expand our Zoho Practive further and our alliance partnership with Zoho. It also position Tiara as a leader in the marketplace and thereby attracting more customers. SILVER Application Development Partner of Microsoft allows Tiara to develop Business Applications using Microsoft Technologies such as .NET, SharePoint, SQL Server, as well as deploy Microsoft Dynamics Business Solutions namely Great Plains (GP), Navision (NAV), AX on Windows OS. SILVER Partnership helps Tiara to develop its own products and solutions using Microsoft technologies by allowing to access Microsoft software, tools and platforms. Following are the current list of our Strategic Partners. Please refer to the left column for more details of the partnership. Please use the Contact Us page to submit your questions or requests to get more details about our company and/or partnership with global leaders.